• All quotes are given based on national average room sizes. • We reserve the right to alter the quotation on site if bedrooms are larger than 12-14 square meters, living rooms are larger than 16-18 square meters, hallways larger than 4 square meters, rugs larger than 12 square meters or bathrooms and kitchen are larger than average sizes. • We also reserve the right to change the quotation if the property conditions are different to those described or the customer’s original requirements are altered. • The customer has to provide access to the property when the service is due to be performed. If he/she is not available at the appointed time the customer is responsible for providing us access to the keys. • Running hot water and electricity must be available within the property where the cleaning service is to be carried out. 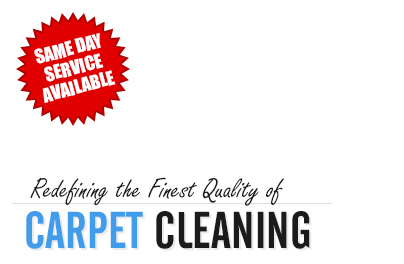 • Payment is to be made in cash/card/bank transfer pre-post cleaning to cleaners on site. • We reserve the right to cancel an appointment if the Service is not secured. • The customer can easily make changes to an appointment with us either through email, by directly writing us, or by calling our Customer Help Center at the numbers on the top of this page. • If an appointment needs to be cancelled, please get in touch with us either via email or on the phone, and be ready to quote the information contained on the confirmation email: Reference number of the booking, date and address of the appointment. • If the appointment is cancelled with an advance of more than 1 day (24 hours) of the date of the booking, there are no cancellation fees, and if the service was pre-paid, partially or in full, a refund will be made back with the sum pre-paid, minus any expenses we had for transaction fees. • If the appointment is cancelled with an advance of less than 1 day (24 hours), a Cancellation fee will apply, equal to 25% of the grand total of the service, in AUD, including GST, to cover our administration, organization costs, losses and compensations for our inability to provide our services as they were reserved. NO SHOW/DELAY/INABILITY TO PROVIDE A SERVICE • Failing to give us a 1 day notice that a service needs to be cancelled or cancelling it on the spot (including due to inability to comply with the service terms for Access), will result in a charge of No Show/Inability to provide a service fee equal to 100% of the grand total of the service, in AUD, inclusive of GST, which recovers our administration, organization costs, losses and compensations for our inability to provide our services as they were reserved. • In a case when our operators do not show up within 3 hours of the scheduled time without a notice or we need to cancel an appointment prior to the Service time due to circumstances that are not beyond our control, we offer up to 25% discount off the final price for the service. • If at the time of the service our representatives or our customers deem necessary to make amendments on the booking that was made over the phone, email or chat, they can do so, on payment of additional charges. Such charges will be quoted in AUD may be at a higher or lower rate than those previously quoted. • If any party involved disagrees with the renewed quote due to any reason, the service can be cancelled with no cancellation fees or reduced commissions for either side. • Please note that an appointment can be rescheduled, amended, changed completely or cancelled without any cancellation fees or charges, as long as we receive notification at least 1 day (24 hours) prior the date of the booking due to our restricted time schedule. If the service is amended or changed with a different one, there may be a higher or lower rate than the one previously quoted. Always feel free to get in touch with us for more details! • No refund claims will be considered once the service has been completed and the team has vacated the property unless otherwise stated by us. • All services are considered provided to a standard the customer would expect unless otherwise stated by the customer within 24 hours of the service being conducted. All complaints will be investigated and a resolution will be made to the satisfaction of the customer or a standard we find reasonable. • The customer must agree to allow a re-clean or an inspection of any work found unsatisfactory before he/she arranges third party to conduct services. • If damage has been proven to be caused by us and we have been informed within 24 hours we will either repair the item or if the item cannot be repaired we will compensate with the items current cash value. • We may request access to a property where a problem has occurred within 24 hours of the service to investigate in an attempt to come to a resolution. • We are not responsible for any existing damage to the customer’s property that is not able to be cleaned or repaired by our technicians using standard methods of practice. • The technicians should be allowed to take photographic proof of the damaged areas/items. • We are fully insured and covered for every job we agree to take. • Promotional offer cannot be combined with other offers or discounts. • Promotional offer does not apply for minimum charges. • If you have any questions relating to these Redeem conditions, please contact us.